It’s happening again; first it was Iceland who started to build the first major nordic pagan temple after a thousand years of christianization in the land. Then, it was Denmark with a very beautiful viking wooden themple to the norse gods. 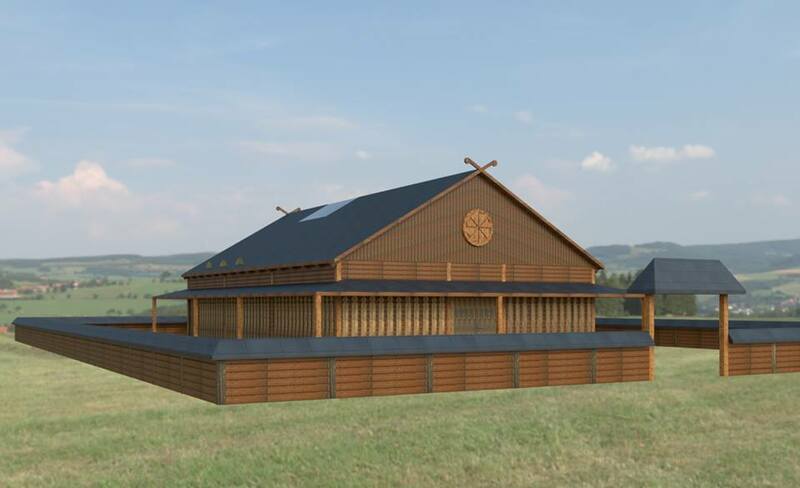 Now pagan history continues with a project to make the first pagan temple to the Slavic gods in Poland, after christianization spread through the land and wiped out all the old temples to replace for the ones of the new faith. This year, Poland celebrates the 1050th anniversary of Christianization of the country and its people. But the pre-Christian believes were never truly forgotten or left aside, and the pagan faith still lives on. 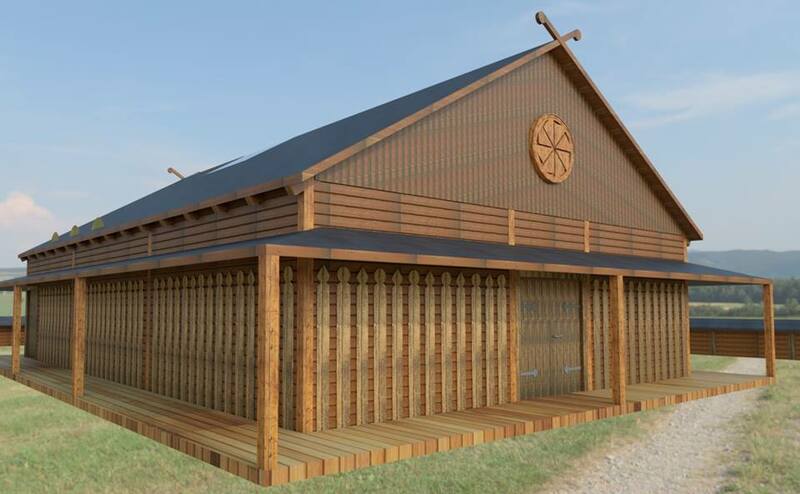 In the city of Wrocław, in Poland, the neo-pagans, or the rodnovers from the Slavic pagan association Watra, have a new project in had – to build a temple to their old slavic deities. For now, only a digital visualization of this temple is available, which is based on the architecture of the old Slavic temples, acording to historical sources. The importance of this temple is not focused in the old faith, but rather in concentrating the Slavic culture and traditions in this place to rise awareness and to educate people about the history of their ancestors. There seems to be an uprising (in a good sense) of pagan culture throughout Europe. After a thousand years of oppression from a foreign faith, the peoples of Europe are turning to the old ways of their ancestors. This is very important in a way that we musn’t forget who we were, our traditions, our historical past and our cultures. For the future generations the history we are making today will help them to understand the essence of their ancestors. Most of the knowledge of the past was either lost or still remains a mystery, and now with the help of historians, archaeologists and antropologists, we are able to dig the past (literaly speaking when it comes to archaeology). I understand that for those who have other faiths, have the tendacy to dislike the pagan old ways, and this “uprising” might frighten them, but we live in a world were religious freedom should be as natural and normal as waking up and breathe. No one has the right to bind people to a certain faith/spiritual path. A world where religious freedom is possible, is indeed a better world and half of humanity’s troubles can be averted. How wonderfully inspiring and what a great piece of historical importance, I endorse it wholeheartedly. I have attended rituals at three recent build circles in Yorkshire and the Central henge at Thornborough. I suppose the values ​​of tolerance and effeminate men of the present democracies have much to do with the pagan values of our ancestors, right? What you call Fascism is really the old customs and values ​​of ancient cultures, then where are they contradicted? I resent the use of the word Pagan to describe a religion that brought man, his maker and nature together into a harmonious, wholesome togetherness when the nut cases of the desert were offering their foreskins to their depraved God to save their sons from him and drinking the blood and eating the flesh of their founder like vampires and ghouls in their houses of worship. The word pagan comes from a Roman word for those “country bumpkins” that worshiped the nature gods, instead of worshiping the Emperor. As such I would consider it not only accurate but a complement! You’re an idiot. You obviously have absolutely no understanding of Christianity at all. If offerto explain it to you, but I’m afraid it’s above your IQ. Besides, many so called pagan religionsendorsed and promotedhuman sacrifice, and that is historical fact. …and many Christians have murdered other human beings in the name of Christianity. None of these actions were “good” or “holy” — all such actions were equally horrific, and all those who do evil are the same, no matter what religion they claim as their own. Most of Christians do not really understand their own religion. Most of the holidays and rights they practice were actually bastardized versions of other religions. This was done in the hopes of subverting others to their ways in the hopes of eliminating any other religions from history, and the ones who did not were killed. Interesting article, although desperately in need of a proofreader/editor. 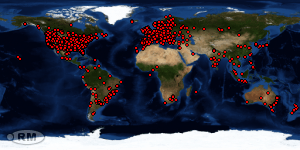 Well done – I wish you success from a UK Pagan / Heathen. I wish I could read this. I have visual processing disorder, the snow thing destroys my ability to see the words. Things that move on a screen are not good.